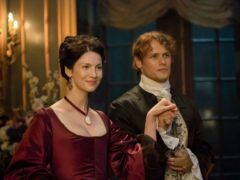 Locations from the television adaptation of the Outlander book series have seen an increase in visitor numbers thanks to the show’s success. A well-known Aberdeen author has compiled the ultimate tourist’s guide to the city. A trail of the north-east's many historic churches has been unveiled. An north-east woman is helping inspire young people to consider careers in tourism and hospitality. A popular historic novel written in the north-east is to feature in a storybook trail of Scotland. 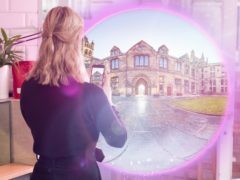 A “ground-breaking” app that invites the world to step into Scotland has been created as part of a global marketing campaign. An open day is to be held for young people in the north-east interested in a career within the hospitality industry. A mum-of-three is set to serve up a helping of fun by transforming a vacant North-east shop unit into a role-play cafe for children. A North-east clan gathering has received a funding boost from the Scottish Government. A tourist shop is celebrating after receiving a five-star rating from a national body. A hostel in the North-east has achieved a five-star rating. Breweries in the North-east have been featured on a national craft beer map. Electronic music is to provide the soundtrack to a hugely-popular light festival in Aberdeen next year. A tourist body has selected four North-east images to highlight Scotland’s status as the most beautiful country in the world. Investment in Aberdeen will help build on a bumper year for visitors, according to a tourism chief. Tourism agency VisitScotland has reinstated the five-star status of a top Aberdeen hotel after a homophobia row. A top Aberdeen hotel has had its five-star status suspended after its owner made “derogatory remarks” at a charity dinner. WORK is under way to transform one of the North-east’s most popular visitor centres into a five-star attraction.